Here’s a project we performed in Lexington that was a little more unique when compared to most of our other projects. It had typical slopes, but with an additional flat roof section. 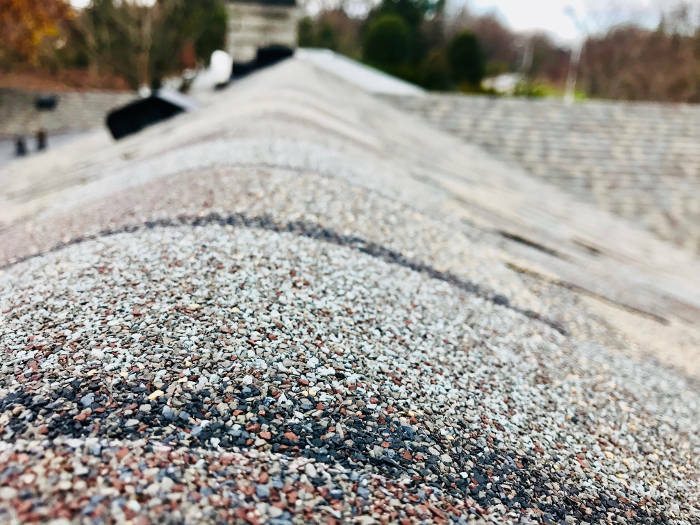 While shingled roofs have the advantage of slopes that help to shed water, the flat roof area required a different type of application to ensure it could withstand and hold up to mother nature’s elements. 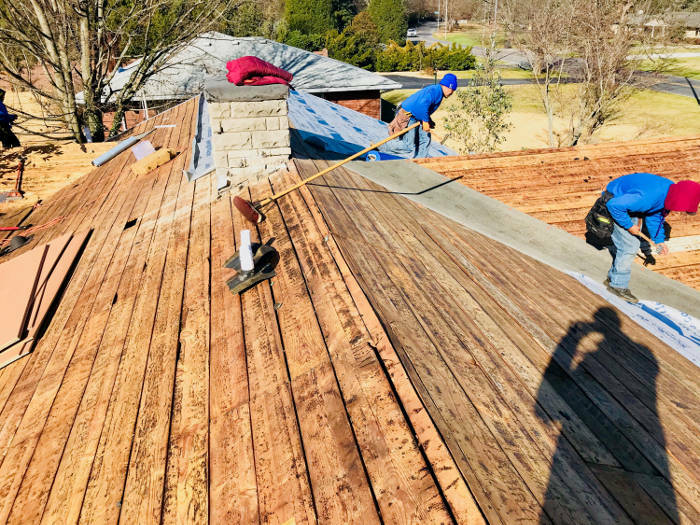 To begin with, we removed all pre-existing roofing materials to properly inspect the wood decking and to secure all new materials for full warranty protection. 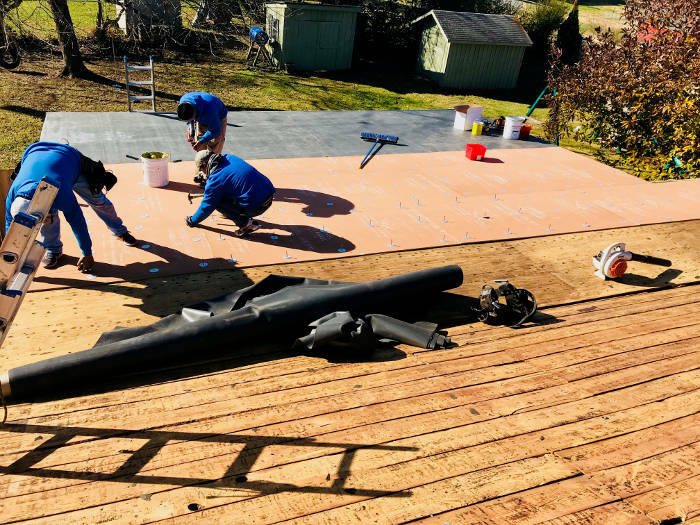 Once we approved and prepped our working surface, we began the preparation for the flat roof section. Next, we installed our Lexington Blue synthetic felt. 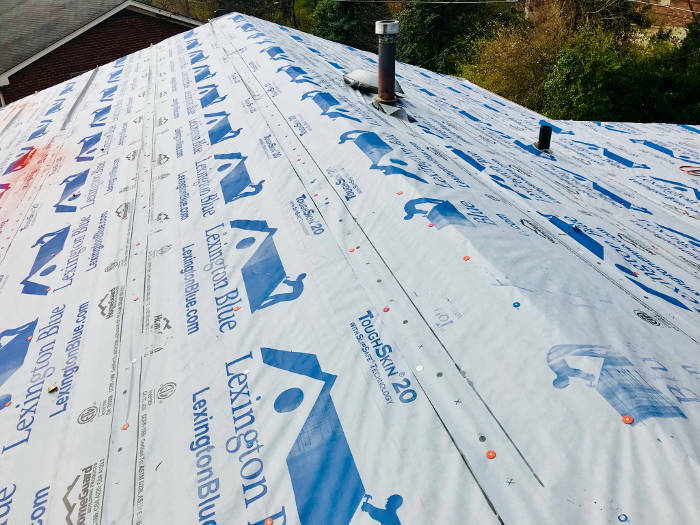 This material adds an additional layer of protection against water penetration. 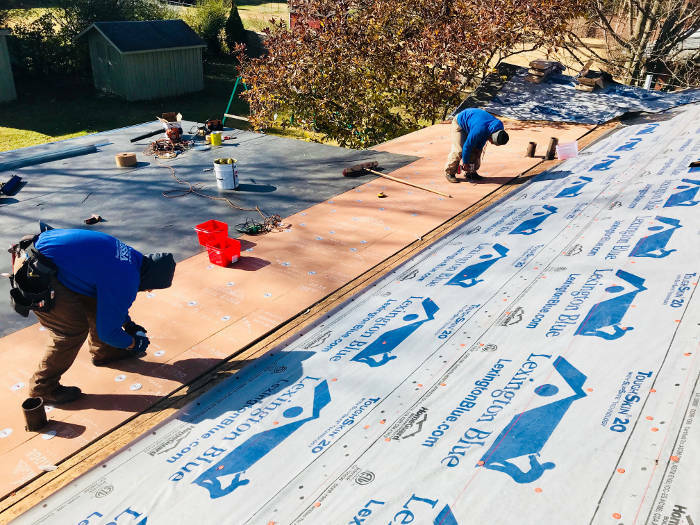 After all the synthetic felt had been installed we continued by finishing up the flat roof installation. In this next image you’ll notice a gray strip along the edge of the roof. This material is commonly referred to as “starter course”. Starter course can benefit your home in two ways. 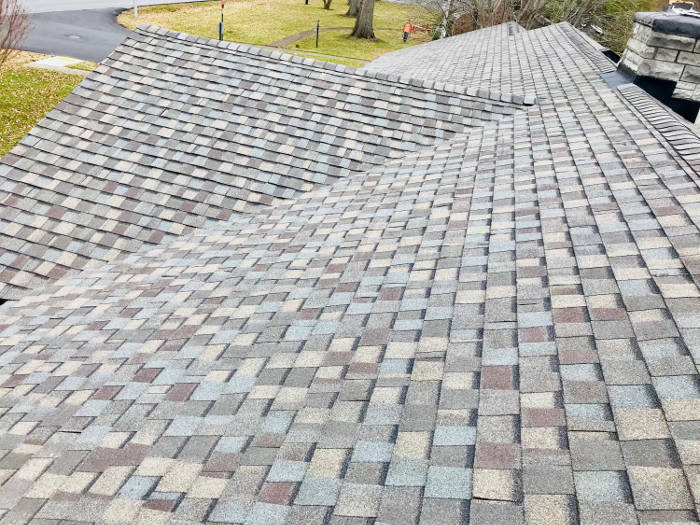 One, it helps to prevent the shingles from being damaged by strong winds or water. 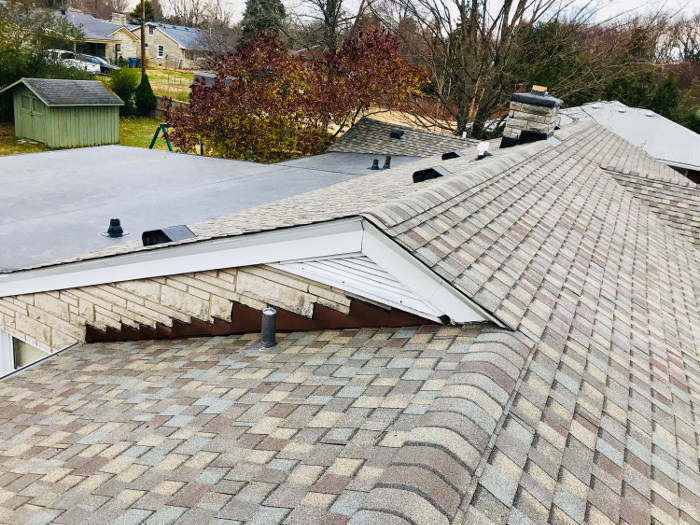 And two, it’s usually a requirement by most shingle manufacturers to ensure the warranty is fully honored. On this project we installed CertainTeed Landmark Pro shingles. Here’s the final completion after all the shingles had been installed. Here’s a view of both, the shingles and the completion of the flat roof as well. 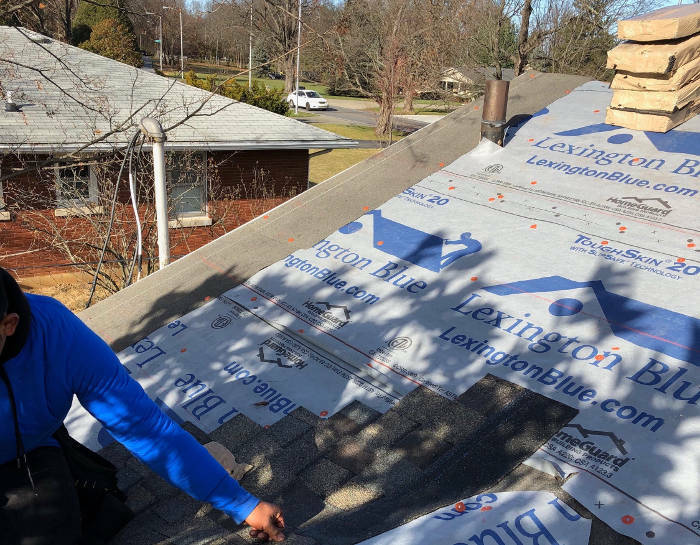 If you have a flat roof that needs repaired or replaced, Lexington Blue is here to help. 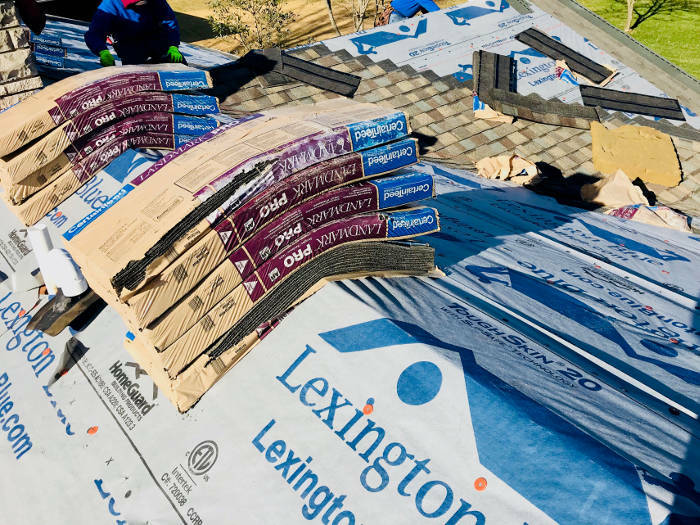 We specialize in all types of roofing installations that are crafted with quality as well as approved by the manufacturers to ensure your warranty is fully honored.